Garlic Oil (China) - Ultra International B.V.Ultra International B.V.
Garlic oil is commonly produced in China with an annual crop around April - May. 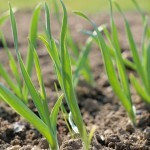 Oil production is secondary to the fresh garlic herb and the processing of garlic granules industry. Garlic oil is an extract of Allium sativum L. bulb, a small perennial plant. The oil itself is primarily used in both the food industry, as a flavouring and in the pharmaceutical industry. 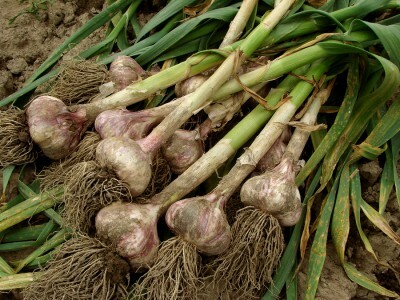 Garlic's medicinal effects are primarily due to allicin content. Garlic can be used in the treatment of elevated blood lipid levels insufficiently influenced by diet, in the improvement of the circulation in peripheral arterial vascular disease and to prevent the age-dependent vascular changes in our bodies. Garlic extracts also have antibacterial and antimycotinc properties, inhibit platelet aggregation, prolong bleeding and clotting time and enhance fibrinolytic activity. The season for garlic is over. Prices are at stable levels, and enthusiasm is running high because the outlook is forecast at 100MT. This is because the price was lower during August to October and supply too was constrained. There is also a demand for garlic as a fresh spice in preparation for Chinese New Year. Prices began to inch up at the end of September and hold the potential to rise further. Current pricing is on the lower side; and plantings have also decreased due to lower returns and environmental pressures. The output in 2019 is considered to be drastically reduced. It is recommended that customers who have demand must book material at the earliest.